The ultimate critic is within. You. You are your own best friend… and your own worst critic. Both are assets if used objectively, wisely and compassionately. 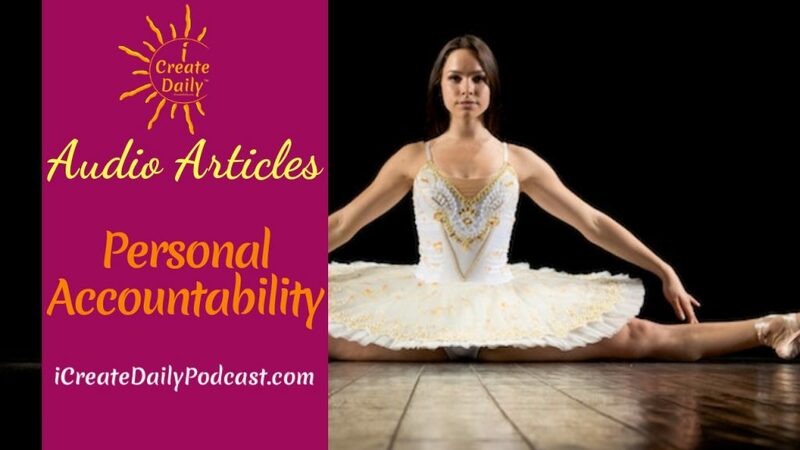 Personal accountability is ultimately a goal of all creators. Self-accountability… to answer to yourself… is the maturing of the creative spirit into the serious artist, able to get stuff done. That stuff, is about bringing your work to light and into the world, where it can touch hearts, open minds and inspire. I am inspired by how much more I can achieve with a little added structure and accountability.